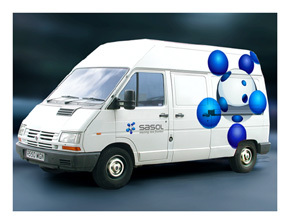 We just want to take time out to thank our national fuel company Sasol for their unbelievable helpfulness and going the extra mile to help us with the Renault job that we are shooting with Publicis and David Gray of Carnibird this week. 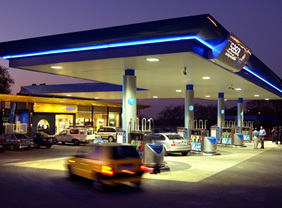 Your friendly Sasol fuel station. The brand new Renault diesels that we are shooting taking a very high grade of diesel fuel that is not readily available in South Africa yet. Our super diesel is 50 parts per million (ppm) sulphur and these cars take Euro V diesel, which equates to 10ppm sulphur. Now Sasol does make this fuel, it’s just not readily available yet. What they did for us is to ship down to Cape Town from their Sasolberg refinery, 3 drums of 10ppm sulphur diesel. beep! beep! 3 drums on its way. Gatehouse just wants to extend our sincerest gratitude to the people at Sasol, who proved that South Africans get how important the film industry is and how important service is.